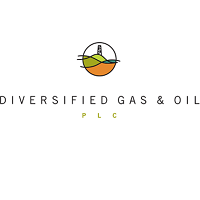 Diversified Gas & Oil PLC (LON: DGOC), a US based gas and oil producer with a focus on the Appalachian Basin, today provided the following operating activities and trading update in respect of its half year financials to 30 June 2018. The Company’s integration of its most recently acquired assets from EQT Corporation is progressing as planned. The Board is pleased to confirm trading is in line with management forecasts and that it expects the results for the year to December 2018 to be in line with current market forecasts. The Company expects to announce its half year results to 30 June 2018 on or before 12 September 2018. DGO is committed to be a good steward of the environment in which it operates, and earlier this year created a department within the Company to proactively manage its routine decommissioning efforts. As is customary within the industry, DGO jointly develops decommissioning programs with regulators within the states in which it operates. For example, DGO has a formal, five-year agreement with the state of Ohio to plug up to 18 wells per year (or a total of 90 wells over the five-year period), with no less than 14 wells plugged in any one year. Specifically as it relates to its decommissioning activities within the state of Pennsylvania, the Company continues to engage in productive conversations with its Department of Environmental Protection. DGO is confident that it will reach a mutually agreeable resolution in the near future. As a procedural matter and within the required regulatory timeframe, the Company will appeal Pennsylvania’s recent consent order. The Company also budgets annually for the number of wells it expects to plug, and it designs its plugging program to comply with all agreements made with the states within which it operates. When no formal agreements exist, the Company estimates the number of wells it will plug based on need or operating constraints, which include weather, availability of capable and qualified contractors and similar factors. The Company’s average per-well decommissioning cost year-to-date approximates $20,600, which DGO expects to trend lower as it continues to reduce reliance on third-party contractors and increases the utilization of its internal resources. 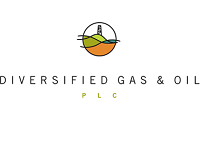 The Company does not expect to increase its planned plugging activities and that it has made adequate provision in respect of its decommissioning liabilities. Although the Company does not expect its planned plugging activities to increase, the Company does not foresee this as having a significant impact on its consolidated free cash flows.